This program is intended for students who possess a background in music and wish to continue their study while majoring in another discipline. 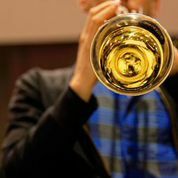 The music minor requires 15 credit hours of music courses in the areas of performance, music theory, and music history. Please note: a minimum of 9 hours of upper division coursework (classes at the 3/4000 level) are required for completion of this minor. The Music Minor can be completed in as little as two semesters, but most students spend four or more semesters to comfortably complete the required course work. Music minors are encouraged to study privately for two semesters. However, as only two hours of applied are required, students can take either MUSI 3700 through our Community Music School or MUSI 3800 (Applied Music Instruction for Music Minors) for two hours during a single term. Minors are required to perform a jury at the end of the second hour of study. Each student must enroll in the card scanning system by paying a $20 fee. This fee is not charged through your UGA Student Accounts. You must log in to the UGA eStore to pay this fee by credit card. For payment by check or cash, please see the accountant in our administrative office. Once payment has been received, students scan their UGA id card upon both entry and exit at music performances in order to receive attendance credit. If a student is performing in the program that individual may not receive recital credit. The scanning system will be used to verify concert attendance both during and at the conclusion of the semester. Students who do not complete this requirement will not receive their grades for the semester, followed by review by the faculty Undergraduate Committee. The Hugh Hodgson School of Music only accepts AP Music Theory credit for music minors. The student must score a 5 on his or her exam in order to receive equivalency credit for MUSI 3550. Students who transfer to UGA as minors do not need to take the Music Theory Diagnostic Exam. If they have 3 hours of music theory from a qualified college/university, those students should receive equivalency credit for MUSI 3550. Interested applicants should expect to apply and audition in their primary instrument. For questions concerning the application process, please contact Music Admissions. For matriculated music minors seeking guidance regarding coursework, please contact Seth Peters at sethpete@uga.edu. Please note: Students cannot be advised or enroll in MUSI 3800 prior to being accepting into the program.